At town meetings across New Hampshire this year, citizens voted in favor of historic preservation, approving funds for planning studies and capital funds to research, revitalize and restore community landmarks. These results reflect a growing understanding and appreciation of historic preservation’s vital role in community and economic development. Several towns voted to invest in properties on the New Hampshire Preservation Alliance’s “Seven to Save” endangered list. These significant and vulnerable places include the Turning Mill Pond Dam in Canterbury, Parish House in Lee and St. Joseph Catholic Church in Bartlett. In Alexandria, Gilmanton and Meredith, town residents approved funding for studies into how to preserve their historic town halls and libraries. In Alton, Ashland, Barrington, Bennington, Bethlehem, Effingham, Fitzwilliam, Grafton, and Wilmot, voters established or added to capital reserve funds earmarked for the restoration of their local historic libraries, meeting houses, town halls and a town-owned country club house. The state’s newest Heritage Commission was created in Kensington, while Hampton residents voted to re-establish theirs, reversing their 2015 decision to disband it. Voters in Francestown, Loudon and Troy adopted use of RSA 79-E, a tax incentive program that offers tax relief for municipalities to encourage investment in downtowns and historic buildings. While a first attempt to pass 79-E failed in Kingston, nearly 40 New Hampshire towns now offer this tax incentive program. The Preservation Alliance sees these positive votes as a reflection of the growth in statewide support for saving and stewarding New Hampshire’s special places. As our world feels faster and flatter, long-time residents and newcomers alike are rolling up their sleeves and doing more in their local communities. Part of this trend involves incorporating strategies to preserve old buildings that provide a variety of social, environmental and economic benefits. The French-Taylor House in Moultonborough was spared from demolition by a town meeting vote in March that was brought forward by the town’s Heritage Commission. The repair and restoration of old and historic buildings often draws on local labor and materials, supporting jobs and invigorating local economies. Many older buildings feature energy-efficient designs, with south-facing facades, pitched roofs, and awnings and shutters that accommodate local climate. Conversely, it can take 10 to 80 years to recapture the energy lost when a new building is constructed to replace an old one. Recent surveys show millennials prefer a mix of old and new buildings in the places where they live, dine and shop. Findings also reveal that heritage tourists – those who seek out cultural heritage destinations – stay longer and spend more than other visitors. As the state’s only nonprofit organization devoted to leadership, education and advocacy for historic preservation, the Preservation Alliance celebrates this growing interest in preservation. These votes reflect not just fondness for old architecture, but rather, rising recognition that investments in preservation protect local property values and stimulate social and economic growth. Despite these recent success stories, challenges lie ahead. Changing demographics and land-use patterns in New Hampshire are leaving farms and barns, waterfront properties, churches, meetinghouses and downtown buildings under-used and vulnerable. Suburban sprawl, “new is better” attitudes and intractable parking and complex property issues often lead to the loss of irreplaceable historic assets. If we are to sustain New Hampshire’s heritage and historic character, more individuals and communities need to step up, explore and invest in pro-preservation actions and policies. The N.H. Preservation Alliance is here to assist community leaders and property owners with coaching, workshops, technical assistance, planning grants, and other services. Working together, we can support the growing momentum across the state toward valuing, investing in and preserving the distinctive character of communities across New Hampshire. Closely inspect exterior of house, basement and attic for insect infestation, treat where necessary for carpenter ants, termites and powderpost beetles with non-toxic (to humans and animals) Boracare. Questions? We here to help! Call the Preservation Alliance at 603-224-2281. Byron Champlin, Jeanie Forrester and Lorraine Stuart Merrill have joined the board of directors of the New Hampshire Preservation Alliance. Champlin is an at-large councilor on the Concord City Council who recently retired after 27 years with Lincoln Financial Group and its predecessor companies. Earlier in his career, he was a reporter for The Union Leader, a communications officer for the N.H. House of Representatives, and a public relations director for Colby-Sawyer College. An independent historian and arts advocate, Champlin has written and lectured on Concord’s role in World War I and has worked to advance the creative economy in New Hampshire. Forrester is the town administrator in Tilton and a selectboard member in Meredith, where she lives. 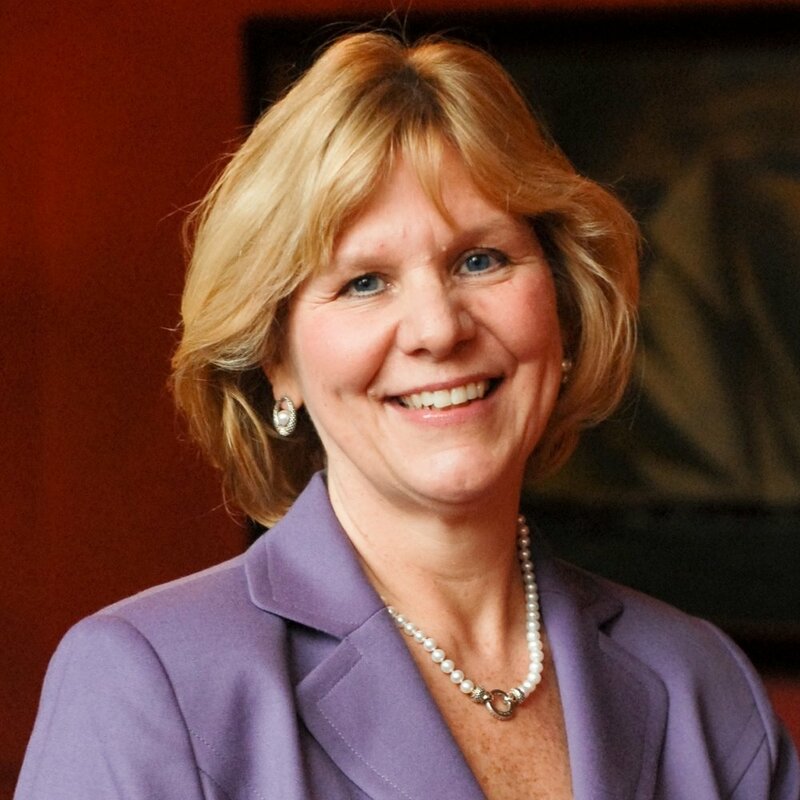 She began her government service in the administration of then-Governor John H. Sununu and served as a New Hampshire Senator from 2010 to 2016. Forrester is the co-owner of Forrester Environmental Services. She was previously the executive director for Main Street programs in Meredith and Plymouth. Merrill and her family own and operate a dairy farm in Stratham. She served as commissioner of New Hampshire’s Department of Agriculture for a decade, and 18 years on the USNH Board of Trustees. Also a journalist and technical writer, in 2008 Merrill and collaborators demographer Peter Francese and filmmaker Jay Childs produced a book and documentary titled, Communities and Consequences: The Unbalancing of New Hampshire’s Human Ecology and What We Can Do About It. The trio is currently updating their research and producing a sequel documentary and book. Put away your yard signs and cushions for those metal gymnasium seats: town meeting season is now over. Across New Hampshire, we saw mostly positive votes for preservation initiatives: from the creation of heritage commissions to the seeding of capital reserve funds to the successful transfer of historic properties. The following towns approved planning studies for historic buildings: Alexandria (for their 1913 town hall), Gilmanton (for the old town hall in Gilmanton Iron Works), and Meredith, where the 2016 Seven to Save Meredith Public Library will get $400,000 in pre-construction services to address keeping the historic building downtown. Fitzwilliam voters approved $250,000 to help fund restoration of their town hall. Many towns were prompted to ask voters to appropriate funds to address needs in preparation for (or as a result of) planning studies. These towns include Alexandria, which created an expendable trust for town hall preservation; Effingham, which added $20,000 to its fund for their historic town hall and library; Fitzwilliam, which voted to add $250,000 into its fund to preserve their historic meetinghouse/town hall; and Wilmot, which added $50,000 to its reserve fund for their town hall. Alton voters approved $14,000 for their town hall; Ashland’s library will increase their fund by $20,000; Grafton approved $25,000 for the library capital reserve fund; Barrington’s Town Buildings Preservation and Rehabilitation Fund Capital Reserve was upped by $50,000; Bennington’s Dodge Memorial Library received $5,000; and the Bethlehem Country Club (a town-owned golf course with 1912 club house) will now have its funding set aside in a revolving fund. Kensington becomes the state’s newest Heritage Commission after failing at the polls last year (perseverance pays off!). Hampton also voted to re-establish its Heritage Commission, reversing a 2015 decision to disband it. Three new towns adopted RSA 79-E, or the downtown revitalization tax incentive. Francestown, Loudon, and Troy can now offer property tax relief for historic properties that undergo extensive rehabilitation within downtown boundaries. An attempt to pass 79-E in Kingston failed. Nearly 40 towns in New Hampshire now offer this program. Two attempts to change historic district boundaries got different results. In Bedford, a proposal to remove a property from the local historic district failed. In Gilmanton, however, a petitioned article to remove a property from one of the town’s historic districts passed. Lee’s Parish House was spared from demolition thanks to efforts by the Heritage Commission and Historical Society. Several Seven to Save properties will see investment this year thanks to voters. In Canterbury, 2018 Seven to Save Turning Mill Pond dam received $25,000. The Lee Parish House (2018) was spared from demolition for another year while the historical society and Heritage Commission work to study its potential reuse. In Bartlett, school district voters approved the transfer of the former St. Joseph Catholic Church (2017) to the Bartlett Historical Society, which is currently raising money for rehabilitation. 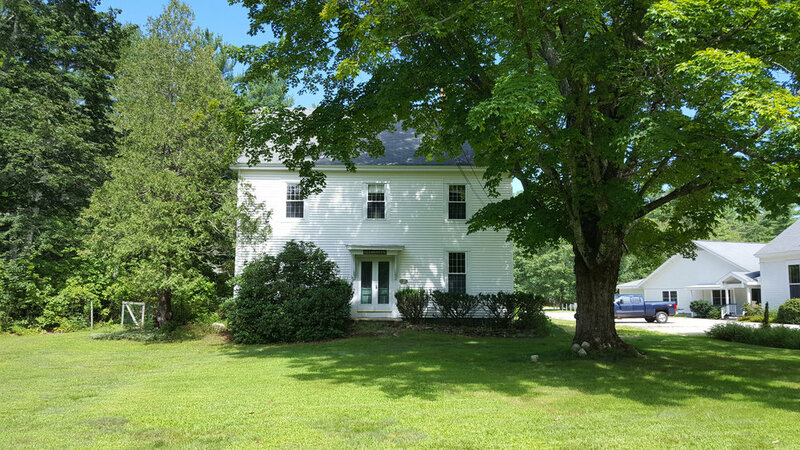 In Moultonborough, the French-Taylor House (2017) was also spared from demolition thanks to good work by the Heritage Commission. There, voters instead opted to sell the house to a local couple who pledge to rehabilitate it and use it to sell home décor. Londonderry voters approved $20,000 for the Londonderry Grange (a Seven to Save category from 2013). And in Rye, voters once again rejected a proposal to spend $3.5 million to raze the historic town hall (2015) and construct a facsimile. Instead, voters approved a measure to lay future proposals involving demolition of the town hall to bed. Charlestown’s Silsby Library got its matching LCHIP funds for masonry repairs. Several LCHIP projects will also move forward thanks to appropriations at town meeting. Charlestown voted $160,500 for masonry repairs to the Silsby Library and North Hampton voted $50,000 for Centennial Hall. Alstead’s remarkable Shedd-Porter Library will get $105,600 in masonry repairs, a building that received a planning study from the Preservation Alliance in 2009. Back in Bethlehem, voters approved an article that directs the selectmen to pursue a long-term lease for the municipal country club. And in Pembroke, voters approved $34,420 for continued maintenance of the Suncook Clock Tower (which won a Preservation Achievement Award in 2001). Not all town efforts were successful, however, and the Alliance is still watching a few votes unfold. In Durham, Oyster River School District voted for $800,000 in pre-construction costs for a new $45 million middle school, which will likely replace the historic one. Carroll’s Town Hall will soon become obsolete and in need of a new use after voters approved construction of a new complex. In Hooksett, voters rejected spending $200,000 from the town’s surplus to fund continued rehabilitation at the historic town hall. In Pembroke, voters directed the town to cease owning and maintaining the former fire station at 4 Union Street (also known as the Perry Eaton Building) – a contributing building to the village’s National Register Historic District. And in Carroll, voters approved a $4.455 million bond to build a new town hall/library/public safety complex, rendering the historic town hall without an immediate or obvious use. We hope you'll help us support a legislative proposal led by Senator Martha Fuller Clark to increase funding for the Land and Community Heritage Investment Program. The proposal adds $10 to certain deed recording fees, and is projected to add about $1.5 million a year to a level that has been at about $3.5-4 million/year. As you may know first-hand, demand far exceeds available funds, and historic preservation activity supports jobs, enhances tax base and serves as a catalyst for additional community development activity. The Preservation Alliance is very appreciative of strong support of this proposal from Senators representing communities across the state as well as members of the House Committee on Resources, Recreation and Development. Next, the full House votes. If successful, the bill will advance to a fiscal committee. Representatives from local projects in need as well as statewide organizations like the Preservation Alliance, the Society for the Protection of N.H. Forests and The Nature Conservancy are in strong support of the bill. The Preservation Alliance has worked with legislators and conservation partners to develop and build the impact of LCHIP over time on the state’s natural and historic resources. Click here to see all past LCHIP projects listed by Town. Since 2000, LCHIP matching grants have preserved or revitalized 223 historic structures and protected over 283,000 acres of important natural resources. For every $1 of grant funds invested in a project, the community raises almost $6 from other sources to match it. That far exceeds the 50% required level of match. Between 2001 and 2017 $46.9 million of state money through LCHIP has led to a total investment in projects of over $316 million. Bringing all that new money into communities strengthens the local economy. Over the last 10 years, 177 out of the 505 total applications received were not funded. That figure indicates the demand and need for LCHIP continues, even 18 years after the Legislature established the program. The Land and Community Heritage Commission that recommended the creation of LCHIP in 1999 determined a funding level of $12 million per year was needed to have a meaningful program. This amount has never been available. Demand for funding continues to exceed the amount available. Talk to your representative about the benefits of LCHIP. Offer examples in your community. Let us know if you have questions? Email projects@nhpreservation.org. Many more community landmarks are in need of seed monies from LCHIP that will be a catalyst for additional fundraising and community development benefits. The tiny town of Acworth leveraged LCHIP grants to achieve a national award-winning rehab while supporting many local tradespeople. Here at the Preservation Alliance, we want to share some of what we accomplished in 2018. All of this work is possible thanks to members and donors like you, our incredible statewide network of preservation practitioners, organizational partners and civic leaders. We think New Hampshire is special not only because of its tremendous historic buildings and communities but also because of this collaborative and generous spirit. We granted 12 Condition Assessment Grants, of up to $4,500 in matching funds, thanks to a block grant through LCHIP. These reports assess the condition of a historic building, provide cost estimates, outline phases for preservation, and help unlock larger grant asks from LCHIP and other fundraising success. 2018's pool included 4 libraries, 3 churches/meetinghouses, and 3 town halls. The pool also included Seven to Save property, Lancaster’s Parker J. Noyes Block and the former Highland Lake Grange Hall in East Andover. On the smaller side, we granted 4 Mini Grants, which were used to assess smaller buildings or garner a second opinion from a preservation professional. Some of these grants are made possible through the wonderful Richard and Duffy Monahon Fund. Funding to hire a timber framing engineer to provide alternative solutions for a failing roof structure. Assess the building’s condition and provide a road map for planned restoration in 2019. Engineering report focusing on failing floor system due to drainage issues. Second opinion on historic brick building’s condition and its rehabilitation costs. Sandown’s new Heritage Commission will work with the Conservation Commission to assess and eventually restore this town-owned barn. 21 more barns received barn assessment grants and today, more than 556 barns in 90 communities are enrolled in RSA 79-D, the barn tax incentive program. The leading towns? Cornish and Freedom at 20, followed by Deerfield and Sandwich at 19 and Plainfield at 18. 2 new heritage commissions started up this year, in Sandown and Mont Vernon. We continued to capture our state through our Instagram page. This year, we posted 97 photos of New Hampshire landmarks - from barns in Bristol to churches in Eaton. In May, we awarded 11 preservation projects achievement awards. Read about them - they include a church converted into condominiums, a 1950s garage-turned-coffee shop, and some incredible before and afters in Ashland, Littleton, Franklin, and Rochester. We added 7 new resources to our Seven to Save list at our October announcement in Washington. This list now stands at 94. This year, we celebrated the purchase of Keene’s Grace United Methodist Church (listed 2009) by local digital marketing firm, Paragon, who hopes to rehabilitate the building for an expanding business. Lancaster’s Parker J. Noyes Block (listed 2017) will also see progress thanks to its purchase and planned rehabilitation by the Northern Forest Center. We’re also watching the unfolding situation in Gilford, where Kimball Castle (listed 2013) was sold for use as a venue space. One resource was lost this year. Shelburne’s Aston-Lessard barn (listed 2016) collapsed on November 29. Overall, about 50% of the Seven to Save properties are saved or seeing progress. Another quarter are stalled, waiting on progress. 23, 109. Miles driven by Preservation Alliance staff to visit with people like you and help save and revive places we can’t imagine New Hampshire without. We can’t wait to do more in 2019! My recent trip to San Francisco and the National Trust for Historic Preservation’s annual conference offered me updates and insights on the national preservation scene and how we are doing comparatively in the Granite State. Others like hearing from us too: over the years, I’ve presented and shared “best practices” including our work with conservation colleagues, preservation easements, creation and use of tax incentives, and barn preservation at this major event. Special thanks to Innerglass Window Systems for supporting my trip! Look beyond the building. Communities around the country and world are exploring the identification, promotion and stewardship of large cultural landscapes especially in the face of major energy projects (transmission lines, oil and gas development, etc. ), and rising sea levels. In New Hampshire, we have a good foundation for this sort of work: Preservationists and conservationists see the benefits of working together (and are often the same people!). National Register work done in the Dublin/Harrisville area and Squam Lakes watershed as well as Freedom’s Way Heritage Area (FWHA) in the south central part of New Hampshire and research done for the Northern Pass proposal offer good models. In my presentation for a session called “Landscapes in Peril,” I offered advocacy strategies and emphasized the need for a proactive approach. Some cool other examples I heard about: stewardship of the hill farms in the Lake District in England (a UNESCO World Heritage site with home of Beatrix Potter and lots of sheep) and the work of Jane Lennon in Australia. Also, check out livinglandscapeobserver.net. Reach beyond the norm. When communicating the benefits of preservation investment, folks in New Hampshire and elsewhere frequently make the connection between preservation and community development, job creation, tourism and housing, and other disciplines; new information about the public health benefits of old buildings and preservation activity is useful and inspiring. How else can we incentivize preservation? Other states without a state income tax like Texas have designed a rehabilitation credit tied to other state tax liabilities. San Francisco has an incentive to help smaller, long-standing businesses survive and thrive. Use the joy in preservation work as fuel. Preservation work is complex and challenging in and of itself. And speaker after speaker offered that “living with water” and recent storms and other weather events are our “new normal.” In the face of all of this, it’s especially important to tap the passion and reflect on the joy in preservation activity. Old buildings offer “belonging” or “coming home” feelings, and preservation projects bring people together. One theme that I see over and over again is how smart, creative teams working together get things done -- that's how buildings get re-used and revived by local advocates, private and public sector developers, and how communities secure and sustain preservation investment. Let’s do a lot more! Today, the Land and Community Heritage Investment Program (LCHIP) granted nearly $4 million in matching dollars to land conservation and historic preservation projects across the state. Of the 26 historic resources and 16 natural resources receiving grant money, five are Seven to Save properties, one received a $500 mini grant/planning study from us, one received a barn grant assessment, and eight received planning studies through our conditions assessment block grant (also funded by LCHIP, and also to be funded in 2019). We also coached seven successful projects through our field service program. This year, six properties received planning study grants from LCHIP. These grants allow for in-depth examinations of buildings, including mechanical systems, structural analyses, and condition assessments. Recipients include Chesterfield Historical Society’s Stone House Tavern, Great North Woods Committee for the Arts’ Former Shrine of Our Lady of Grace in Columbia, Fitwilliam Town Hall, Langdon Congregational Church, Tilton School Library/Mansion, and the NH Preservation Alliance (to redistribute as block grants for smaller assessments). Of these, the Preservation Alliance was happy to assist in Chesterfield, Columbia, and Langdon. Belmont’s Gale School (2017) will receive a $110,000 grant to help relocate the historic 1894 school threatened with demolition. 2018 listee, Turning Mill Pond at Canterbury Shaker Village, received a $97,339 grant to help repair a dam located within the cultural landscape of the National Historic Landmark district. Kimball-Jenkins Estate in Concord (2013 Seven to Save) will restore the mansion, with help from a $202,000 grant. In Alstead, Chase’s Mill received a second grant, this time for $150,000 to repair the exterior envelope of the building, including windows. On the Natural Resource side, family farms (2014 Seven to Save) were represented by Farmington’s Scruton Dairy Farm - a fifth generation dairy farm that also received a barn assessment grant from the Alliance in 2015. Eight projects that received earlier planning studies through the NH Preservation Alliance will now see rehabilitation. Those include Alstead’s Chase’s Mill; Farmington First Congregational Church (storm windows); Goshen Grange Hall (rehabilitation into town and SAU office space); Centennial Hall in North Hampton (rehabilitation of 2nd floor space); Plymouth’s Old Webster Court House (windows and basement improvements); Portsmouth Women’s Club (installation of sprinkler system); St. Matthew’s Chapel in Sugar Hill (foundation construction); and Whitcomb Hall in Swanzey (2nd floor rehabilitation). Congratulations also to the following projects: Charlestown’s Silsby Free Library, Ladd-Gilman House in Exeter, Keene’s Ball Mansion (home of the Cheshire County Historical Society), Lebanon’s Kendrick-Wood House (home to the Upper Valley Music Center), Milton Free Library, Ingalls Memorial Library in Rindge, Rochester Opera House, and the Wolfeboro Freight Shed. Since its incorporation in 2000, LCHIP has awarded over $43 million and protected over 257 historic buildings and conserved over 280,000 acres of land in a total of 157 communities. This investment - which now comes from a deed surcharge at the county level - has leveraged nearly $300 million in the program’s history. The next LCHIP grant round opens in May 2019. If you are interested in creating a successful preservation project (that may or may not include LCHIP funding), please reach out to Andrew Cushing at the Preservation Alliance (ac@nhpreservation.org or 224-2281).